Natural star Nani’s forthcoming sports drama, Jersey, is gearing up for an April 19th release. Meanwhile, the latest news is that the film has wrapped up the censor formalities and got a clean U certificate from the CBFC. 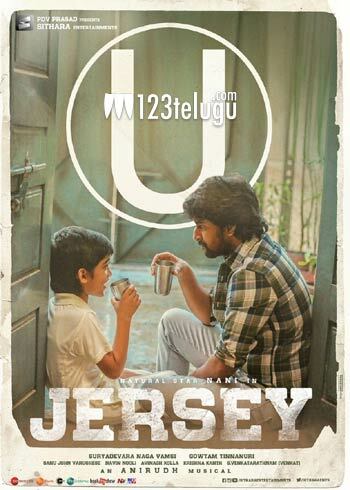 Jersey’s trailer has caught on well with audiences and the trade is betting big on this film. Shraddha Srinath is the female lead in this film. Gowtam Tinnanuri has directed Jersey and Vamsi has produced it under Sithara Entertainments banner. Anirudh Ravichander has scored the soundtrack.